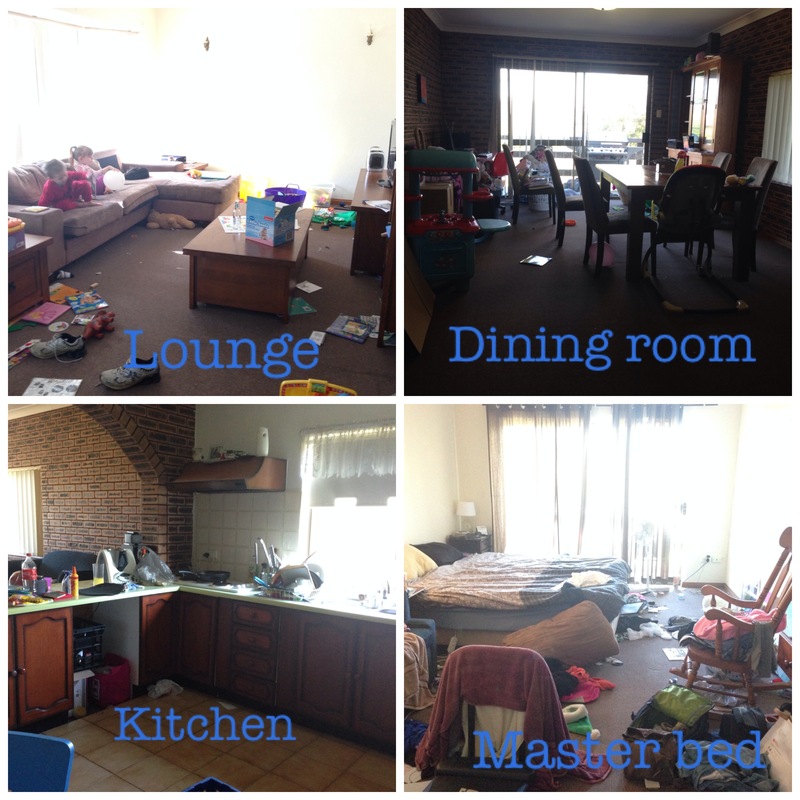 Ugh – the house work! A big part of the concern for me with planning on going back to study next year is that I have never quite managed to tackle the SAHM job description. I come from a family of clean freaks, at least on my Mum’s side. These are people who mop their floor twice a day, every day, whether they have left the house or not… I am the family piglet. I take after my Father’s side of the family our houses are messy and chaotic and you will usually find some sort of cracker in between the couch cushions on a good day, right after spring cleaning, the rest of the time it could be a smorgasbord. Don’t get me wrong, I love my Mum’s family and they love me but I am not like them. Which has been a source of angst for me. Not to mention a serious source of worry. After all at the moment I am at home, with 2 munchkins ALL DAY (while Moody is at school of course), and I am just doing the Mummy thing ALL DAY. Well I am doing the Mummy thing and a bit of the cleaning thing all day. My point is that I seriously need to kick myself in the tush. You see if my house gets any worse I swear we might as well be living in a pigsty. 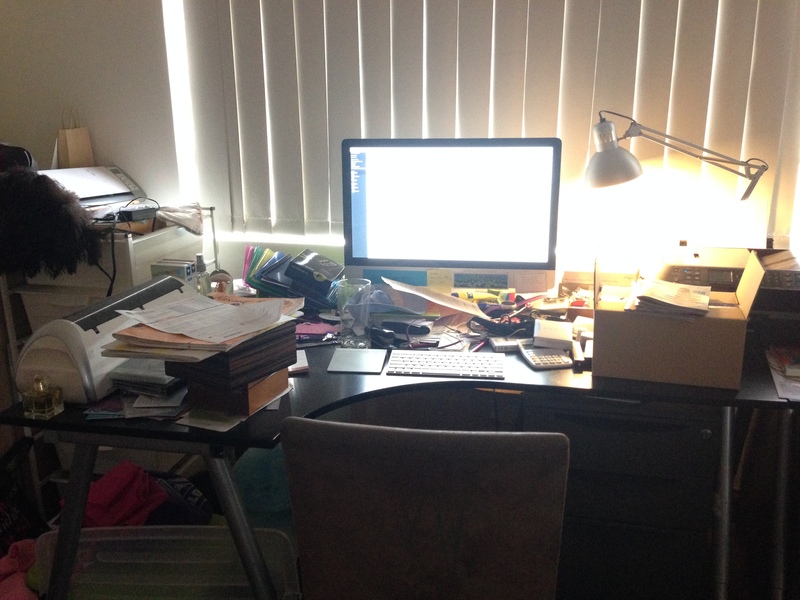 There is no surface that is uncluttered, no room that is clean, no space that is organised and I am sick of it. I am afraid that once I do start studying that my house will just devolve into one of those houses that you see on How Clean Is My House. I am afraid that my kids will be ashamed to have friends over and that I will be unable to find anything. Not to mention the effect that it could potentially have on my study, I mean procrastinating by doing a load of dishes you buy 5 minutes maybe 10 before sitting down. Procrastinating by doing the last 2 weeks worth of dishes…. yeah. Then of course there is the lounge room floor that is perpetually swamped by toys and books and knick knacks courtesy of the Mess Makers. But the question then becomes how the heck do I combine study with maintaining and hell IMPROVING my house? Most of the time when someone takes on a new activity as time sucking as university study the standard line is something will have to give, the housework will be there tomorrow. But what happens when you already use that mantra? You see I need to have some sense of order in my house and at the moment there is none. I mean how are you supposed to study at a desk that looks like this? At the moment I have Avon brochures (a WAHM project that I am now giving away – it may work for others but it hasn’t worked for me so I will be attempting to do parties but not distribute catalogues and stuff anymore) and products, running gear, tea boxes (don’t ask) Moody’s past school work, stationary and a hairbrush amongst other stuff. Too much STUFF. Tackle the master bedroom because HELLO it’s difficult to get up to the Mess Makers when they cry in the middle of the night with all of the mess in the way. Start doing the stuff on the list. I am more than a little ashamed by this. In fact I am actually probably a little horrified at myself. But this is the beginning, not the end. Over the next few weeks my house is going to improve markedly but that is mainly because we are packing to move so most of the mess is literally going to be packed into boxes and put away so that come moving day which is at the end of September will literally be a “pickup and go” affair. So I started this blog just as a way of chronicling my study years which is probably me making a huge assumption, you see, I am currently waiting to hear back about an application that I put in for one of the local universities. I am planning on studying a double major of psychology and counselling while my kids are fairly little so that hopefully once they are a little more independent I will be able to rejoin the workforce at a reasonable rate of pay rather than the current position I am in where my skills are either on the decline or are outdated. So as for the “mum” part of the url? I have 3 kids: Messy – a 9 year old boy with ADHD, Mischief – a 4 year old girl who isn’t naughty but you need to be aware of when she is too quiet, and Mayhem – a 2 year old boy who’s gift seems to be causing mayhem in our house. Of course I am ridiculously in love with all of my kids but I am by no means a pinterest mum (although I will absolutely admit to being addicted to that site!). My kids don’t do allot of way out art projects and their scrapbooks are woefully neglected. But we have fun. The final human member of our family is The Man who is of course the man of the house. His career is in hospitality which means we have had the joy of being able to experience different parts of our country while following his career. We also have 2 animal members of the family Dude an 11 year old one-eyed-ewok-wannabe and Sammy who is a 3 year old cat. So I guess that until I hear back from the uni whether or not I got in that is about all I have to say! See you as soon as I have word.